VZ402E is equipped with a high-resolution WVGA LCD screen. This high resolution capability provides more comfortable viewing of your favourite videos. 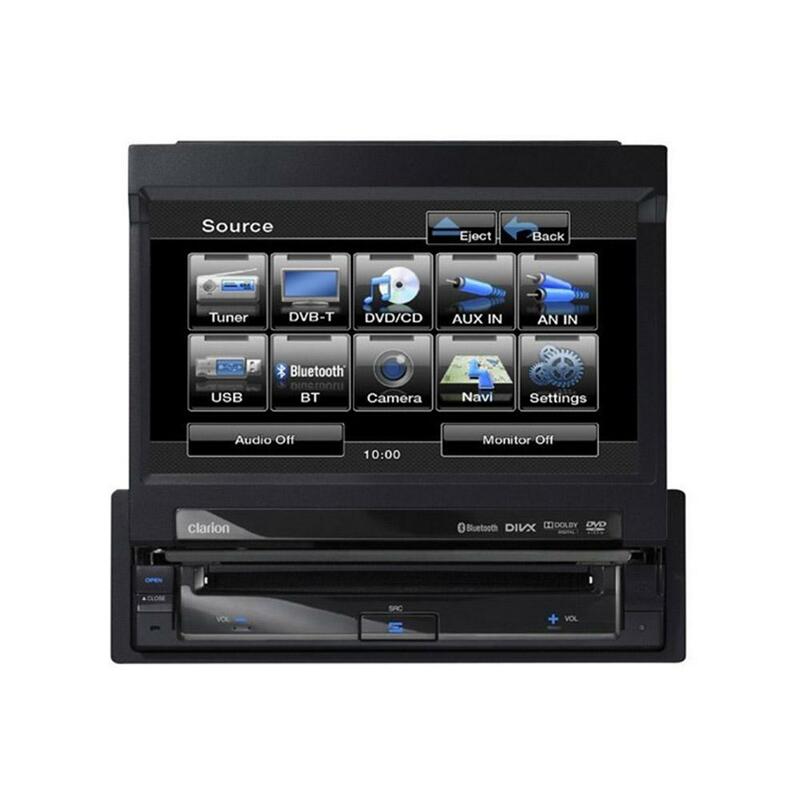 Clarion VZ402E car multimedia 7' touch screen DVD MP3 head unit with Parrot Bluetooth built in and also iPod iPhone control. The Clarion VZ402E has a high resolution touch screen shows large icons that are highly visible and easily recognisable at a glance. And thanks to the touch panel screen, accessing each function is as intuitive as touching its icon. This very straightforward system lets the driver focus his attention on the road, and enables front seat passengers to use any desired function without the need to “learn” a thing. What’s more, since the vast majority of functions are controllable from the touch panel, there are only 4 physical buttons on the unit for the most basic and commonly-used functions. The Parrot Bluetooth wireless technology lets you talk on the phone with hands-free safety and stream music from your mobile phone. What's more, iPod iPhone connectivity, as well as USB and AUX inputs, make it possible to enjoy all the entertainment you enjoy everyday, seamlessly while you drive. 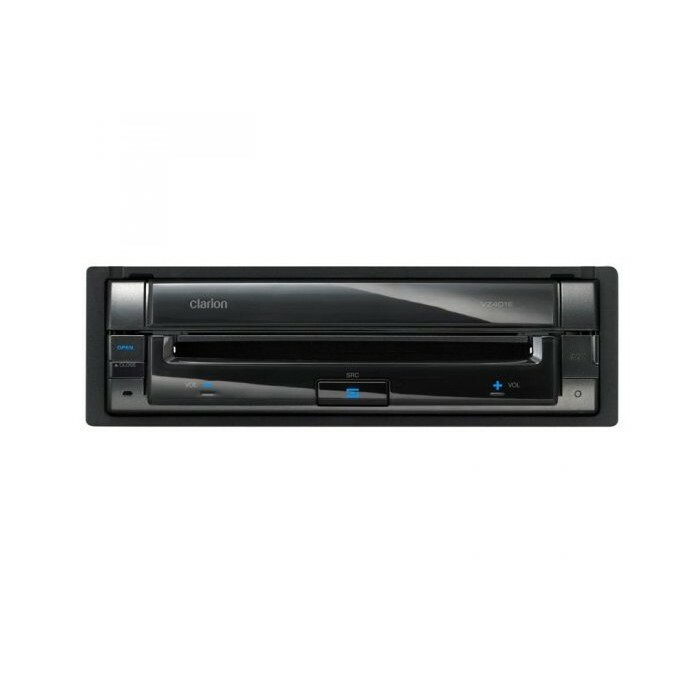 The VZ402E also offers connectivity with the DTX502E digital TV tuner to enable TV viewing in your car. Keep your passengers entertained, and watch TV shows as they happen, before you get home. Fitted to my BMW 318i (2000) due to diversity amp/antenna Radio reception poor. No adapters available to join BMW coaxes together or plug smaller coax into this unit. CT27AA16 BMW Fakra to ISO Aerial adapter not used my ISO on vehicle is male. A bit too early to tell yet but I have mixed views about this product. It has been fitted to my motorhome. Bluetooth does not seem to work for me and the Digital TV tuner hasn't worked since I brought the vehicle home from the garage. It looks as if it is because I don't have a signal where I live or it's very weak. Need to test again when away from home. As I said, time will tell. I've a 1996 VW transporter, Autosleeper trooper campervan and want to upgrade the old radio to a more modern version. 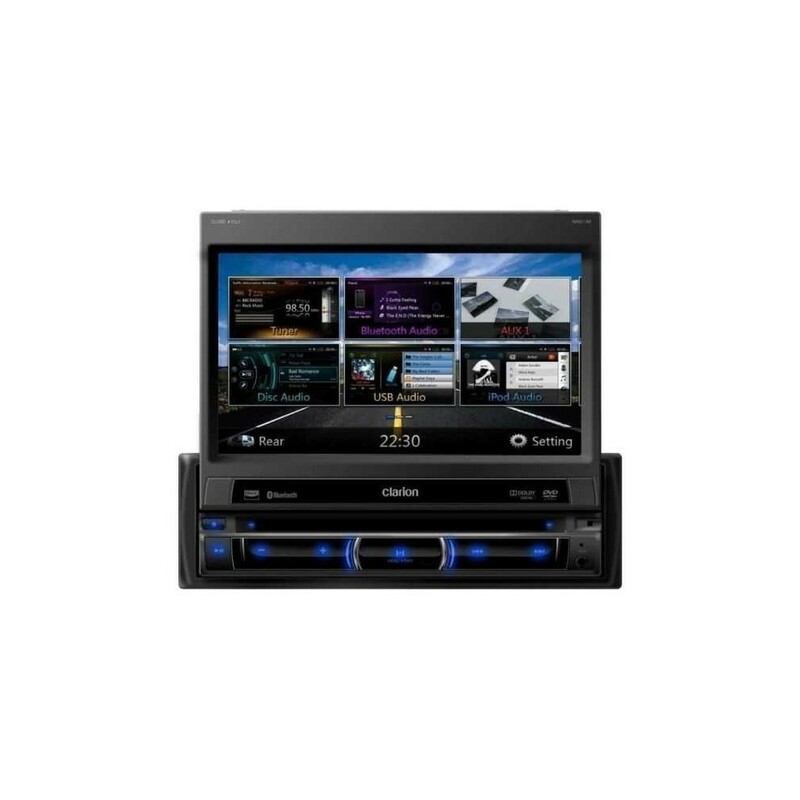 Can you tell me what is required to make this type of head unit work. Hi, thank you for your question, to fit this Clarion VZ402E you will need only an aerial adapter, we listed below the part required. I have a c4picasso exclusive 2008 the factory fitted radio/cd as a pull down cover will this be a problem and obstruct the unit. This will not fit your Citroen C4 due to the pull down cover. Will this work with my car? With my car being so old lol? I have a Fiat Grande Punto 09 plate. what add ons will I need? You will need the following parts for your BMW X3. The VZ402E does not come with sat nav. It is only sat nav ready. The clarion NZ502E is the flip out screen does come with sat nav. The sat nav software comes pre loaded onto the device. It is updatable through a usb stick and the software is downloadable from the clarion website. Can this unit be converted to DAB. Hi this unit is not DAB however you cold add DAB using a add on, We have listed this and the required parts below for you. You will need the below listed parts to install this in your Audi A3. We do sell the additional sat nav hide-away module. The model number of this is NP509E. Would I need a special areal to pick up tv if I buy the free view .I will need the camera as well and 2 sets of speakers are there any package discounts please ? Will this unit fit my car? Hi yes sure this will fit your Audi, You will need a few parts. 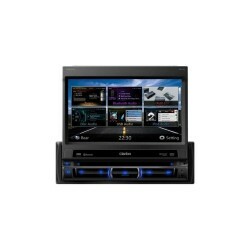 However we need to know what stock unit do you have in the car ie BOSE etc..
Is this unit compatible with Android phones. (hands free calling and mp3 streaming).